Individual will supervise line crew(s) involved in the installation, maintenance and repairs of the underground and overhead electric distribution and transmission system and oversee equipment, materials, and record-keeping duties to include completion of time sheets for crew members as well as tailboard documentation. Individual will also: train, instruct, and mentor Lineworkers to ensure that safety rules and procedures are followed; ensure all safety rules and procedures are followed by all employees daily; evaluate the performance of each crew member and initiate additional training or corrective action as may be necessary to bring performance up to standard; recommend promotions, demotions and discipline through proper documentation; coordinate and schedule work assignments; conduct tailboards, and truck and trailer inspections; ensure that all work is completed in a timely manner, on schedule, and within budget; and provide first response coverage to off-hour emergency trouble calls and investigate, correct, and clear trouble. In the event of high trouble call volume, individual will ensure proper staffing has been accomplished. Individual will accept standby duty responsibilities throughout the year, which consists of being available via telephone and/or pager during this duty; accept temporary responsibility for Supervisor, Electric Field Operations in the daily operation of the Area Work Center in their absence; work with emergency services, such as fire and police to accomplish a safe environment; enforce Company environmental policies and procedures on each job site; and perform the duties of a Lineworker I (RG 34.5). A High School diploma or the equivalent and a combination of education, training, and experience equivalent to a Lineworker I (RG 34.5) is required. A minimum of three years as a Lineworker I (RG 34.5) is strongly preferred. Supervisory experience is preferred. Knowledge of and the ability to apply electrical theory and a complete working understanding of Company line work practices and policies is required. Must have the ability to become a certified rubber glover of 34.5 kV. A Commercial Driver’s license (Class A with Special Trailer Endorsement) and a safe driving record is also required. In addition, this position requires mechanical aptitude, manual and finger dexterity, the ability to communicate effectively, follow instructions and climb and work on poles and structures. To qualify for the position an individual must meet the requirements associated with standby coverage, and provide such coverage. Will have storm restoration and emergency assignments. Will also be required to work overtime when needed. Employee weight limit for this position is 300 pounds. Must live within 30 minutes of the Area Work Center. Job Categories: Featured. Job Types: Full-Time. 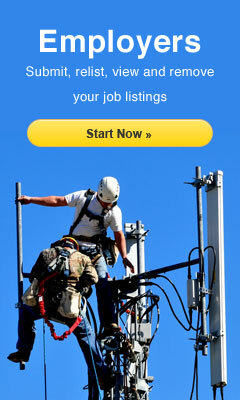 Job Tags: distribution lineman, journeryman lineman, and lineman jobs.